This page provides a register of DTAA’s current Professional Members, those professionals who are recognised at the highest level of credentialling of dance movement therapists in Australasia. All DTAA Registrants have undergone a rigorous application process in which their training, qualifications and supervised experience have been verified as meeting DTAA’s standards. Are fully paid Professional Members of DTAA, renewing their membership annually. For information about becoming a Professional Member, please go to our membership page. For a listing of other DTAA-recognised members, please go to our Provisional Professional Members page. B.Ed., M.Sc., B.Soc.Sci. (Hons, Psychology), Dip. (Adult Psych), Dip. DMT , Registered Clinical Psychotherapist (PACFA #20209). Grad Dip DMT( Wesley), Production Engineering Certificate( TAFE Sydney), Professional Dancer, RAD (Scully -Borovansky). Programs for children with Learning difficulties and behavioural problems, mentored children with Kidshope World Vision, working with school and community organisations supporting children and youth, conducted workshops for Anxiety and wellness. Currently working with Elderly and Dementia. Francoise has a gentle caring approach to create a safe and fun-filled space using dance and movement as well as drawing to facilitate expression where applicable. She has worked as a Lecturer, Coordinator and Head of Dance at Wesley Institute following a career as a professional dancer, performing and teaching with ballet and contemporary dance companies in Australia and overseas. Terrie-Ann has worked as a Dance Movement Therapist with people of all ages, specifically in the area of Disabilites, Mental and Physical Health, and Gender Based and Sexual Abuse. 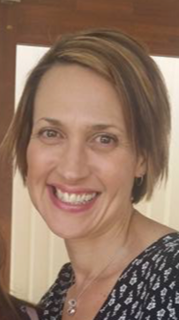 Terrie-Ann is currently working full-time with BaptistCare Relationship Services in Sydney as a Counsellor and Group Worker in the area of Domestic and Family Violence. She has recently returned from Africa where she was co-facilitating Dance Movement Therapy workshops for Community Health Workers, Volunteers and Survivors of Sexual and Gender Based Violence at the Ruben Centre in the Mukuru slum, Nairobi. Qualifications: B.A Dance NYU, M.A Dance Therapy NYU, Grad. Dip.Ed. UTS, Adult and Community Ed. UTS, Migrant, Asylum and Refugee Grad. Cert. Charles Sturt University. Specialist expertise: physical, sensory and intellectual disabilities, elderly and disability support workers. Groups and 1:1 with adults and adolescents with various physical, sensory and/or a range of intellectual disabilities. People with dementia, Parkinson’s disease, Acquired Brain Injury. People with depression as a result of degenerative conditions and/or disabilities. ‘Creative movement’ with elderly people. Authentic Movement with peers. Student placements available in groups with intellectual disabilities. Meredith’s work also includes visual art as an extension of movement to build symbolic communication. 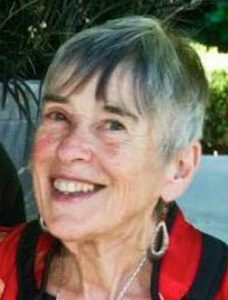 Eileen has been teaching and choreographing community arts, folk dance and sacred forms of dance internationally for more than 30 years. 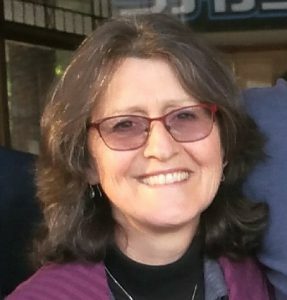 Eileen trained in DMT with the IDTIA and Wesley Institute. 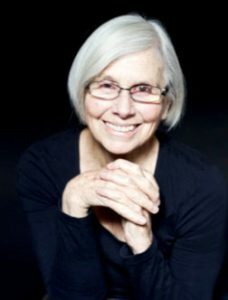 Her dance movement therapy experience since 1989 includes work in community, clinical and educational facilities with aged care & dementia, children/adolescents, disability, carers, mental health, and with refugee & migrant populations. She has been a lecturer in the Wesley Institute Graduate Diploma of Dance/Movement course, is a member of the DTAA National Committee, and a supervisor for IDTIA. 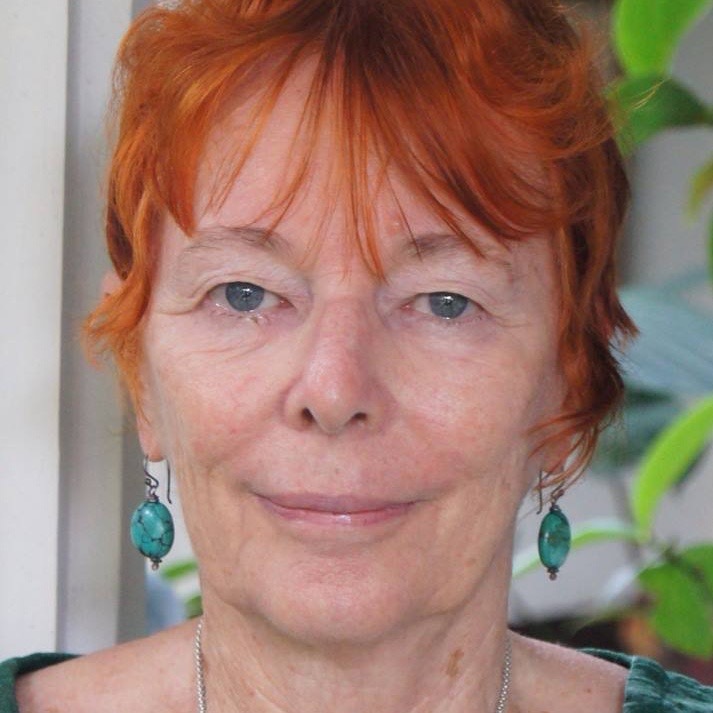 Eileen provides DMT & expressive arts therapy presentations and workshops at Australian and international mental health, disability and performing arts conferences. 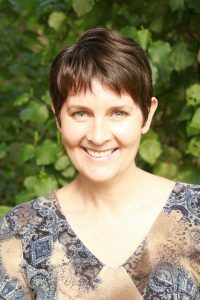 Robyn is a dance movement therapist and Gestalt psychotherapist whose approach is gentle, supportive, body inclusive and trauma-informed. Where appropriate, she draws on creative processes that include dance- and music-making, drawing and sand-tray, to explore or deepen understanding. She finds these nonverbal approaches particularly helpful when working with traumatic or early-life issues, where words are unavailable. Robyn works with individuals and groups, in private practice and within organisations, and her experience encompasses mental health (anxiety, depression, schizophrenia, trauma, eating disorders), addiction recovery, aged care/dementia care, loss and grief, self-esteem issues, relationship issues, life transitions, adults with disabilities, and children with developmental or learning issues. 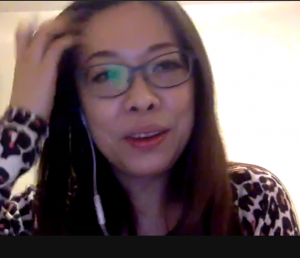 She has lectured/tutored in DMT training programs and offers DMT supervision. Areas of interest: The body in psychotherapy, the effects and treatment of developmental trauma, adult attachment processes, creativity in therapy, developmental movement, authentic movement, Body Mind Centering/somatic processing. Grad Dip DMT (Wesley) Hons. Certified Lebed Method Instructor. Qualified Clinical Pastoral Education (Gosford). Arthritis Australia Warm Water Instructor. Currently working with Elderly and Dementia (15 years’ experience). Conducted workshops for anxiety, cancer survivors, wellness and Lebed/Healthy Steps. Also worked with youth in schools and families. Grad. Dip. Dance Therapy, Dip. Aromatherapy, Cert IV Massage, Cert IV Training & Assessment (TAE), Adv. Cert Training & Assessment (ACTA, Spore), Adv. Dip Business Mgmt, Dip. In Arts & Design (Spore), American Social Dancing and Aged Care Quality Assessment Course. 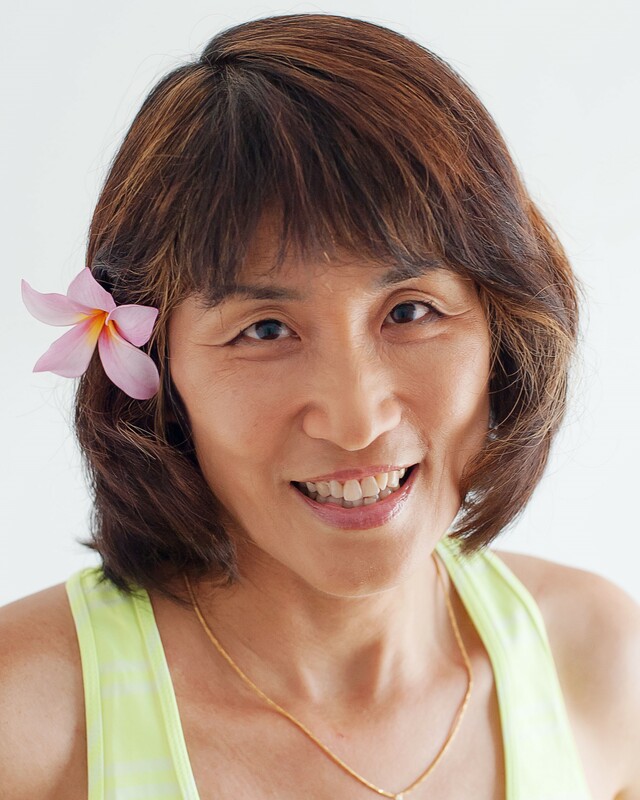 Lillian provides private dance/movement therapy in Sydney and training in Asia, and works with children in Danceyogini in afterschool care programs; trainer & assessor for accredited courses in Aged Care & Dementia Essentials in Sydney; and a speaker for corporate training in aromatherapy and parenting. She has been involved in aged care since 2000, specializing in her work with the Jewish Holocaust survivors, research work with hearing-impaired and cochlear implant children. She combines different modalities in her approach in the treatment of her clients. Available for DMT supervision. MS. BSc Ed; Accredited Counselling, Cert. DMT IDTIA. 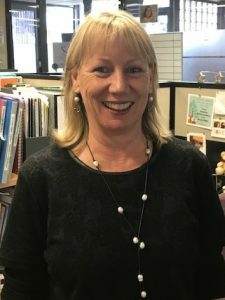 Experience: Women’s groups at community health centres; “Communicating for Healthy Relationships”, ‘Healthy Body Image” and Life Balance. ‘Expressive Movement”, for social connection, physical conditioning, depression and for safe and enjoyable movement for women with conditions such as arthritis and chronic fatigue. Areas of specialty are facilitation of women’s health issues, outreach movement sessions for women undergoing drug rehabilitation, support/social groups for women from culturally and diverse backgrounds. Grad Dip DMT, RAD DDTS (currently undertaking), Masters (MAP), Cert. PBT, B.Ed & Grad Dip Special Ed. Corinne has extensive experience working with children and adults of all ages and abilities, teaching variety of dance styles (choreography, creative dance, contemporary and classical dance as well as improvisation), as well as facilitating dance therapy based programmes. Corinne is employed by HammondCare as Dance Artist for the project called ‘Arts on Prescription’, a program developed and run by HammondaCare in association with the University of NSW and partners in UK and supported by the Australian government healthy aging grant. Arts on Prescription builds on the research showing that active participation in the arts has a positive impact on people’s health and wellbeing. She runs programmes with different age groups (60 – 98 years), some with dementia, offering dance therapy-based activities to engage people in active participation and artistic processes. Corinne also teaches classical ballet to students age 5 to 16 at two dance studios in Sydney and is currently just about to complete the Dance Teaching Diploma with the Royal Academy of Dance (RAD) England to attain the RAD registration. 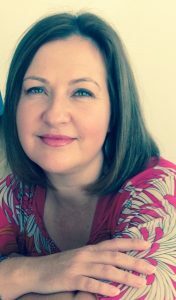 In previous years Corinne has have been working at the Shiloh centre, offering dance movement therapy in conjunction with psychotherapy. She also ran dance therapy programmes at the Royal Institute for Deaf and Blind Children in Carlingford, working with blind and/or children with physical disabilities. 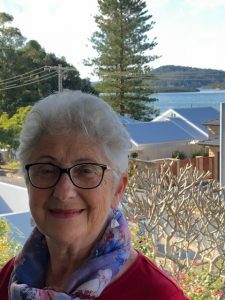 In addition, she developed a programme for Mothers & Toddlers and Mothers & Babies and ran that programme at various playgroups over many years – some of them through the Playgroup Association Sydney. 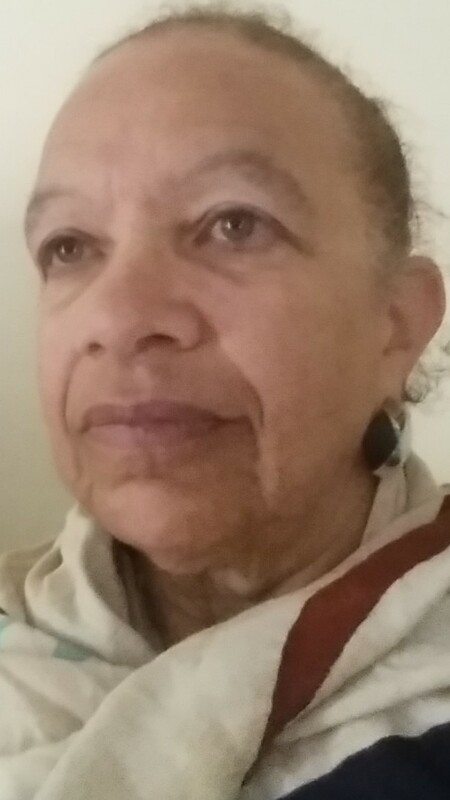 She taught various dance/movement classes and workshops in churches and community centres. 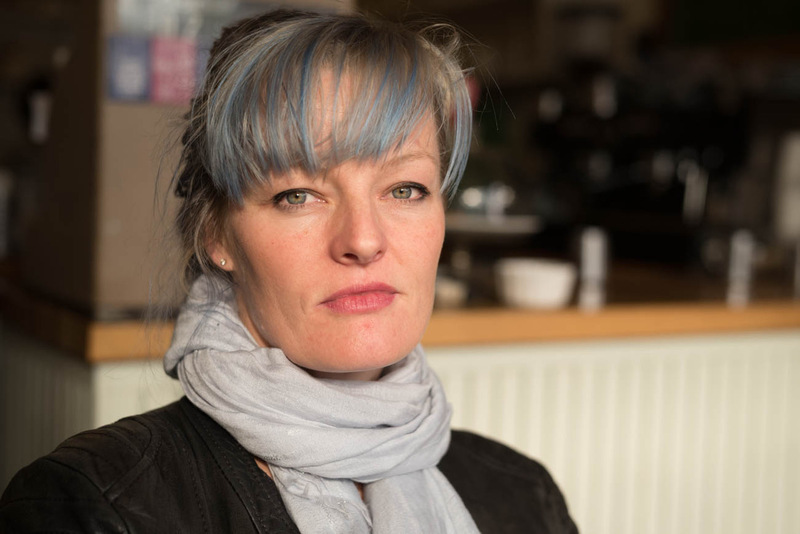 Corinne is also the director of the independent contemporary dance company ‘Emotive Arts’. She creates and produces contemporary dance works/films relevant to inner healing, authentic movement and movement meditations. Mary-Claude specializes in working with elderly and people with dementia. 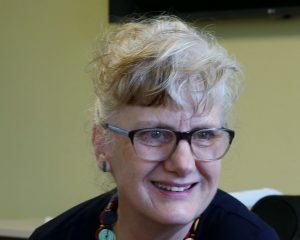 She facilitates group sessions in aged care programs organised through Council for people with dementia and their carer. Mary has also some experience working in small groups with adults with physical and intellectual disabilities. 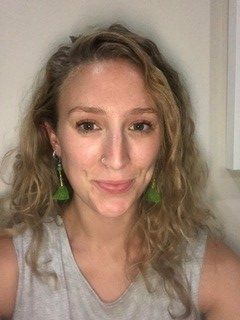 Alex has worked as a dance therapist in a range of settings including as a child focused counselor for refugee and asylum seeker families, with young people with mild and high support needs, and diverse mums and babies groups. 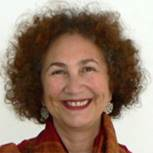 She has contributed to pilot programs using dance therapy in post-conflict/ developing countries including Cambodia, Thailand/ Burma and Timor L’este. Alex has resided in the Northern Territory for 14 years and has contributed to therapeutic programs in Indigenous communities in Darwin, Tiwi Islands and Maningrida. Her current key interest is in working though movement and the body to support people from diverse cultural backgrounds in their journeys of recovery from trauma. Alex is currently working in private practice and offering community workshops focusing on embodiment/ mindfulness in the body. Grad. Cert. DMT (IDTIA, Melbourne), Dip. Leading Dance for Older People (Green Candle Dance Company, London), Dance and Performance, (Schule für Tanz, Improvisation und Performance, Freiburg, Germany), Grad. Cert. 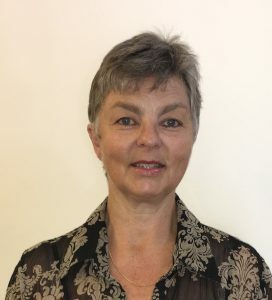 Counselling Andrea is working both in Australia and overseas with various populations, including people with a range of physical disabilities and NCD’s, acquired brain injuries, people living with dementia (and their carers), Parkinson’s disease, diabetes and strokes. 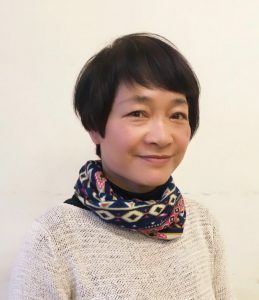 She has expertise in dance and movement therapy with the elderly and has a particular interest in fostering dance and movement therapy practice in age care facilities and respite centers. She has also worked with adults in psychiatric settings. 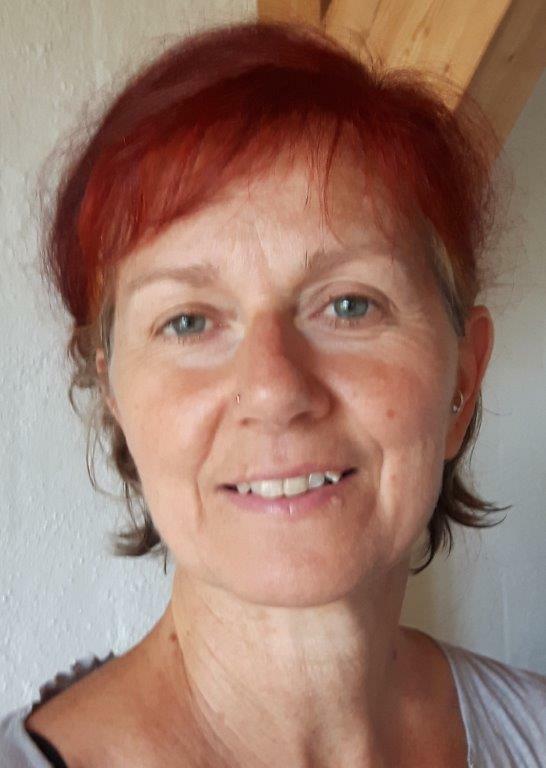 Currently Andrea is offering regular authentic movement sessions with adults, one to one dance and movement therapy sessions, and facilitates ongoing creative dance and improvisation classes for the elderly. Andrea is continuously broadening her dance therapy practice attending professional development workshops in somatic movement practice, and through participation in integrative dance workshops and projects in Europe. M.Ed. (Melb.Uni), Grad. Dip. Movement/Dance (Melb.Uni), B.A. (Ed.) (Deakin), Dip. Teaching (Switz. ), Dip. Dance Movement Therapy (IDTIA, Melb. ), Diploma in Professional Counselling, QLD. 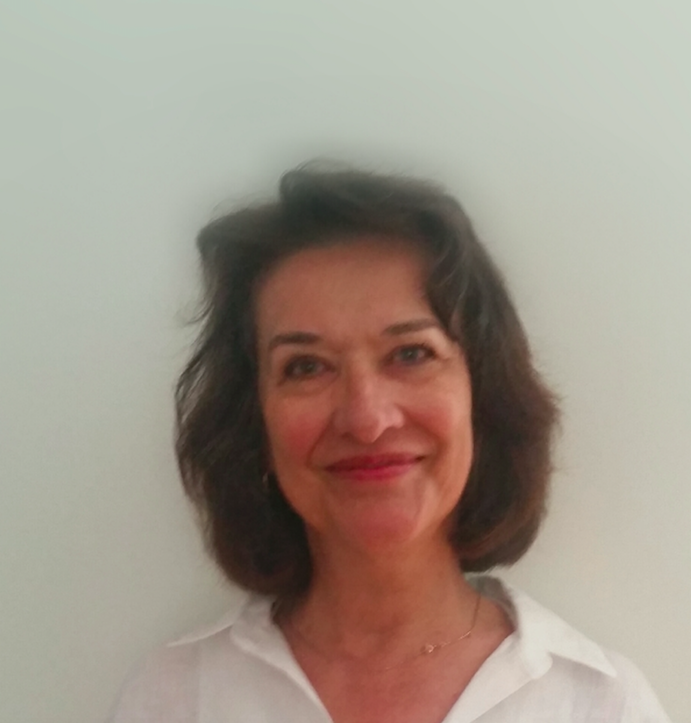 Beatrice has extensive experience in using dance therapy as an intervention with children on the autism spectrum and in the past few years has lead workshops on this topic for teachers and professionals in Switzerland, Brazil, and Australia. She also worked with adults in psychiatric care in both in-and outpatient clinics and occasionally leads workshops with women exploring feminine themes in mythology through dance and the arts. She takes a special interest in indigenous dance. Beatrice has tutored, mentored and supervised interstate IDTIA Certificate and Diploma students and dance practitioners since 2004. More about Beatrice’s DMT work. 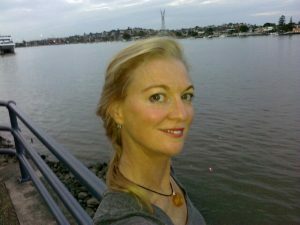 Bachelor of Education, Diploma of dance movement Therapy, Diploma of Contemporary Pilates & Teaching Methodology, Graduate Certificate in Movement Based Somatic Therapy, Level 4 member of the Australian Pilates Method Association, Grad Cert in Pilates-based Rehabilitation. Area of interest: young adults with Autism and Aspergers, Intellectual disability, and Eating Disorders. Current groups running: teenagers and young adult with Autism, and groups with Cerebral Palsy. IDTIA Advanced Dip of DMT. Offers individual sessions for those who wish to explore life through movement. Experience with fragile elders with dementia, mothers and babies experiencing postnatal depression, young children and teenagers challenged by Autism/Aspergers, children/teens experiencing social and emotional hardship. Currently working weekly with young people with special needs. Also Mandy facilitates a weekly woman’s personal growth and self-exploration session called Authentic Balance-Authentic Movement. PhD (Education & Dance Therapy), Masters in Ed. 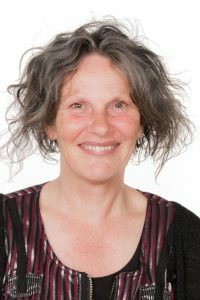 (Dance Movement Therapy), Grad Dip Movement and Dance, Grad Cert Dance Therapy, Grad Cert Leadership in Education & Training, B. Ed, Certificate in Play Therapy, Adv Clinical Play Therapy, Certification in Choice Theory Counselling, Registered Play Therapist & Play Therapy Supervisor, Level I & II Sensorimotor Psychotherapy and Level I & II Dyadic Developmental Psychotherapy. 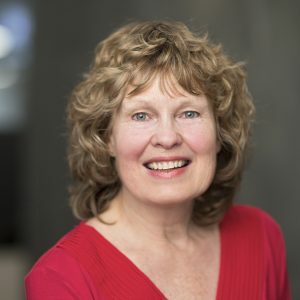 Sally has worked with children and adolescents at risk in the education system and conducted extensive training for teachers and other professionals in the field. Currently, Sally works therapeutically with children at the Australian Childhood Foundation, offering clinical interventions for children who have experienced trauma and abuse. Sally has also worked with children with Down Syndrome, adults with MS, depression and those who wish to discover more about themselves. Privately, Sally offers dance movement therapy sessions to interested individuals and supervision to dance movement therapy practitioners who wish to reflect on their professional practice or build further understanding of how dance movement therapy can be applied in a trauma-informed way. 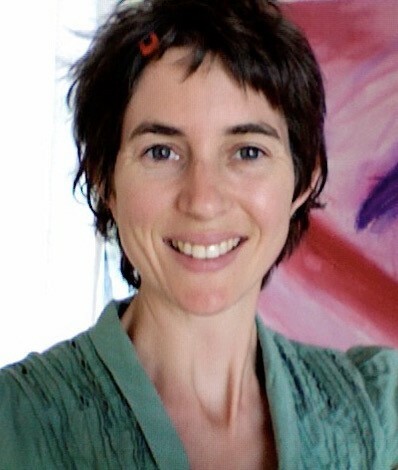 B.A., Grad Dip Movement and Dance; M. Ed; PhD, Cert IV TAE), DTAA , is a Mackenzie Post-Doctoral Fellow at the new Creative Arts Therapy Research Unit at the University of Melbourne where she will undertake research in dance movement therapy and establish training programs. 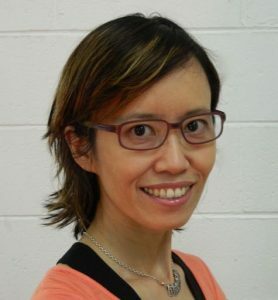 Previously she was Head of Faculty, Dance Movement Therapy at Phoenix Institute, Melbourne, Australia, where she taught modules on dance movement therapy in context, program planning, research and evaluation. MCSP; B.App.Sc (Phty); M. Ed; Grad. Dips. Movement and Dance and Rehabilitation Studies, Dance Therapy Cert. 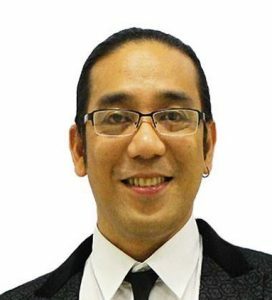 (Madden Grove Foundation), and Certified Movement Analyst (CMA), DTAA (Prof. DMT), is a physiotherapist who uses dance therapy in physical rehabilitation. 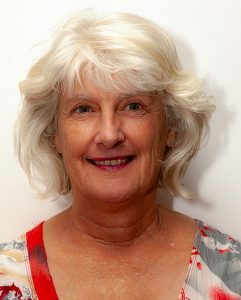 She specialised in application with traumatic head injury, is experienced in all areas of physical rehabilitation, pain management, application in permanent care hospital wards, day activity hospitals and centres, and with children with special needs, Jane is active in the professional association, has lectured in Laban Movement Analysis in the dance therapy courses offered at RMIT. She can offer supervision, particularly related to DMT with neurological problems and application of LMA and the Bartenieff Fundamentals from a developmental perspective. B. Ed (Victoria College), Dip. DMT (IDTIA) has a background in dance teaching with children and adults. Maeve is currently working as a dance therapist with adults with intellectual disability and in aged care and with the frail elderly with dementia in NE Victoria. Mem. AASW; M.A. (Creative arts in therapy); B. Litt Hons (Perf Arts); B.A . Dip. Soc Studs., Dip. Dance Movt Therapy (IDTIA). Elizabeth works as dance therapist in both the outpatient and inpatient hospital setting with mothers with postnatal depression and their infants. 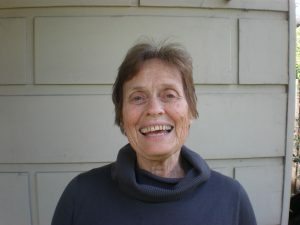 She has also worked as dance therapist for this population in the outpatient day program, private psychiatric hospital context; and worked for many years in dance therapy and creative arts therapy within her paediatric hospital social work role with patients who are adjusting to chronic or life- long endocrine health conditions. Approaches to dance movement therapy include psychodynamic and phenomenological/expressive models. 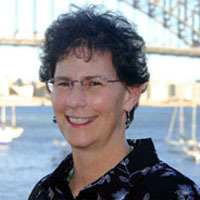 Elizabeth teaches dance movement therapy in the Advanced Clinical Training at the International Dance Therapy Institute of Australia; she offers private dance therapy/creative arts supervision, and regular workshop training at the Parent –Infant Research Institute, Austin Health to health professionals who work with the mother- infant interaction. 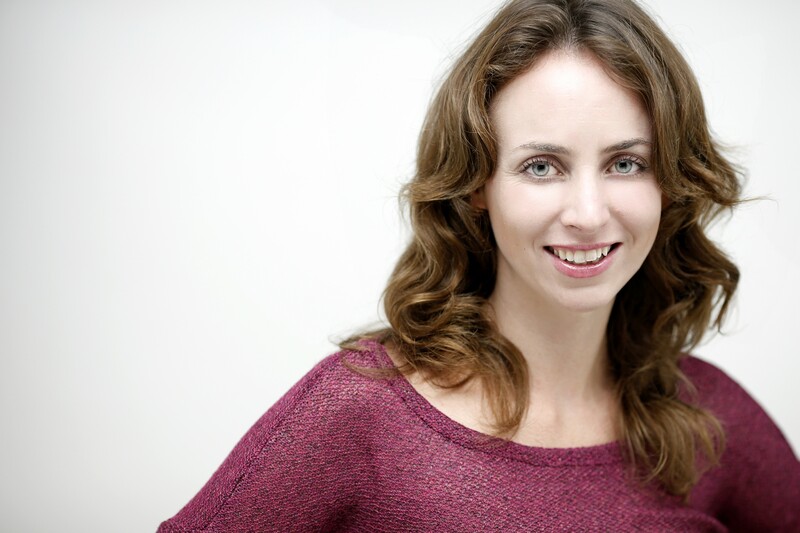 Elizabeth has peer reviewed and other publications in the dance therapy and health fields. Elizabeth also has a studio creative dance practice with mother-baby, parent –toddler and adults dancers. Diploma DMT IDTIA, DTAA (Prof. DMT). Director Moving Together, a community-based dance therapy program for mothers and babies in the City of Booroondara. 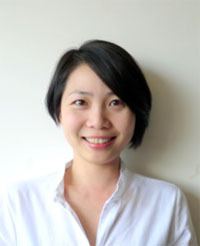 Member of the committee of the DTAA since 2005. 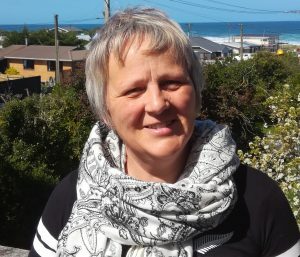 As the activities coordinator at Prague House in Melbourne, Elizabeth provides arts and recreation programs with an emphasis on the therapeutic. 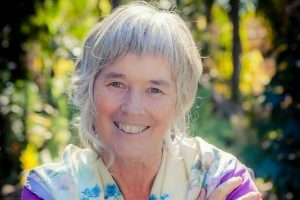 Elizabeth is qualified and experienced in primary education, including Rudolf Steiner Education, and in teaching Yoga and meditation and is at present involved in training as a Hakomi practitioner. Dip. Dance Movement Therapy (IDTIA), B.Sc., Hons (Biochemistry), Dip.Ed. Therapeutic Touch practitioner. Her areas of dance therapy experience are in aged care, dementia, children with disabilities and autism. Bouthaina runs dance movement therapy groups in aged care facilities for residents with varying needs including dementia. 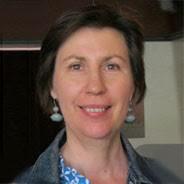 She is familiar with the aged care system and can help create programs to meet continuous improvement standards. 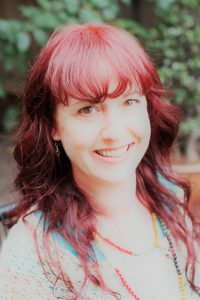 She also works on a one to one basis with clients, conducts workshops and is interested in assisting people enjoy living in their bodies. She is based in Kew, and works in Surrey Hills, Thornbury and Mordialloc. Macedon Ranges. Melbourne metropolitan area. B.Ed; Grad Dip Special Education; Grad Dip Movement and Dance; M.Ed. Dance therapy experience: children and adults with intellectual disabilities; adult women survivors of sexual assault. Area/s of specialist expertise: dance movement therapy with special needs students in special school settings; assessment and evidence-based practice; movement improvisation. Can offer placements and work at Sunshine Special Developmental School, Sunshine Vic. 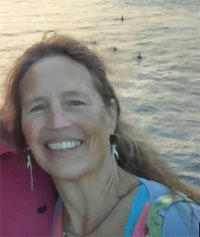 Linda is originally from the United States where she completed a Master’s in Expressive Therapies (art, music, dance & drama therapy) and became a registered dance movement therapist with the ADTA, subsequently completing postgraduate training in family therapy, couple therapy and Emotionally Focused Therapy (EFT). 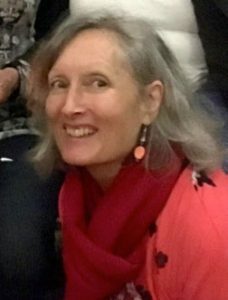 Linda has helped develop a number of university programs in Melbourne, including the Master of Creative Arts Therapy & Graduate Diploma of Dance/Movement Therapy at RMIT, and the Master of Social Science (Couple Counselling) at Swinburne University where she currently teaches. 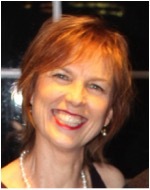 She has also taught dance therapy in established programs at Melbourne University and Wesley Institute. 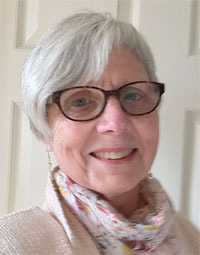 Linda has a longstanding interest in Jungian psychology and the practice of authentic movement or ‘movement in-depth’, and this has been the focus of her dance therapy practice for many years. The intricacies of the dance between ‘mover’ and ‘witness’ provide a bridge to the nonverbal dimension of relationship. 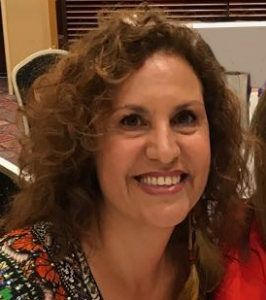 For many years Linda has worked in agency settings as a relationship counsellor, most recently Relationships Australia (2004-2014) where she became a supervisor, trainer & head of couple therapy training. Now in full time private practice, Linda runs workshops for couples and professional development for therapists. 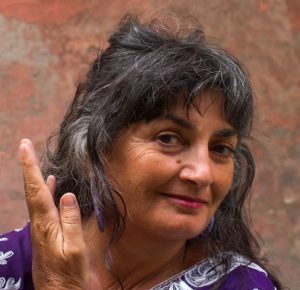 Her work is integrative, honouring the body, the emotions, and the dance of relationship. B.A. (Mon), Dip.Soc.Studs (Melb) Dip. Dance Movt Therapy (IDTIA) AYTTC (yoga). 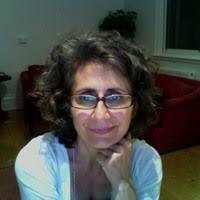 is a trained social worker and dance therapist. 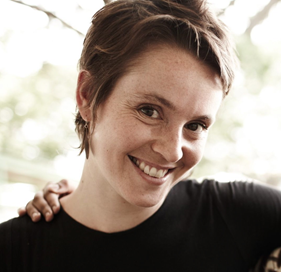 She teaches creative dance for adults and pre-natal yoga at Mangala Studios. She has worked as a dance therapist at Connections, Uniting Care with disadvantaged families for 20 years specializing in primary treatment with children. She facilitates a group with the frail elderly at Munzer community residence and is in private practice. 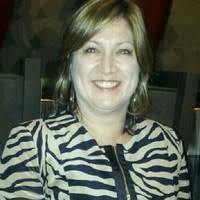 Fran teaches in the IDTIA Certificate Training Course and supervises students in the Advanced Diploma Course. She also teaches in the Mangala Studios Teaching Creative Dance Diploma Course. 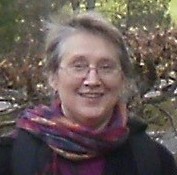 Fran can offer supervision and student placements. Works as a psychiatric social worker and psychotherapist with children and adolescents in a community mental health setting and private practice. Special areas of interests include – depression and anxiety issues, body image problems and eating disorders trauma and abuse, mother/infant dyads – postnatal depression and attachment issues. Certified Functional Analysis Practitioner – Institute of Functional Analysis (Body Centred Psychotherapy); Certificate in Soul Centred Counselling – Kiros Centre; Cert 4 Workplace Training and Assessment. Specialist expertise: All level and abilities of physical and intellectual disabilities. All levels of mental health including schizophrenia, addiction, substance abuse, depression, eating disorders and body image. Maria is a Raqs Sharqi dancer and teacher; bringing elements of middle eastern dance into dance therapy. Maria works privately one on one and also with group in workshop and retreat settings, combining her skills in Dance Movement Therapy, Body Psychotherapy, Somatic Awareness, Authentic Movement, Continuum Movement, Sacred Dance, Art, and other life skills and experiences. She also works in Italy, Japan and Bali. Dip. Dance Therapy IDTIA, M Ed. (Advanced Studies in Movement and Dance, Melb. Uni), Dip. Ed. Movement and Dance (Goldsmiths, London Uni), Grad. Dip Movement and Dance (Melb. Uni), Diploma KTC Perth, WA, (kindergarten teacher training). Barbara did her main dance movement therapy training in Munich Germany at CITA in Integral Dance, Expression Therapy and Authentic Movement in 1993 and later in Auckland New Zealand at DTNZ in 2015. She studied and experienced working with all ages and abilities in different settings, including childcare, schools, health centres and nursing homes. 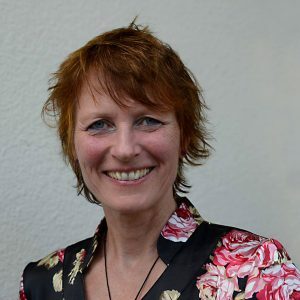 Alongside her teacher Wilfried Guertler ( CITA) she built up a training school in Vienna, Austria and Budapest, Hungary to introduce and teach the positive effects of dance movement therapy. Before she came to New Zealand she taught and studied in India, USA, and Europe. 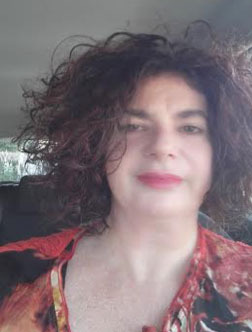 Barbara works mainly in high schools where she set up group work in creative arts therapy using dance, movement, storytelling, arts and music for students with learn difficulties, intellectual,physical and mental disabilities. 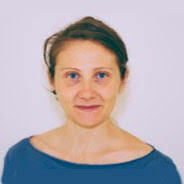 She offers workshops to different organisations to learn how to integrate dance movement therapy in their everyday work. Bachelor of Social Practice (Social Work) Unitec Auckland, Dip Prof. Counselling A.I.P.C. Australia, Cert Dance Therapy (IDTIA Melbourne). Working in Child and Adolescent Mental Health in Kaitaia New Zealand incorporating counselling, dance therapy, and social work skills. Background experience in Melbourne and New Zealand with freelance projects and as employee in both clinical and community settings. Groups: Older adults, Young women with eating disorders and depression, women’s heath, domestic violence, mental health and addiction, intellectual and physical disabilities. Commenced dance therapy training in London in the 1980s with Dr Helen Payne, Linda Hartley, Katya Bloom, and Patricia Bardi. Grew up in Christchurch, New Zealand where learnt creative drama, dance, and improvisation. PNZ (Physiotherapy New Zealand), PGDip Health Science (Expressive Therapies), is a dance movement therapist and physiotherapist based in Northland New Zealand. 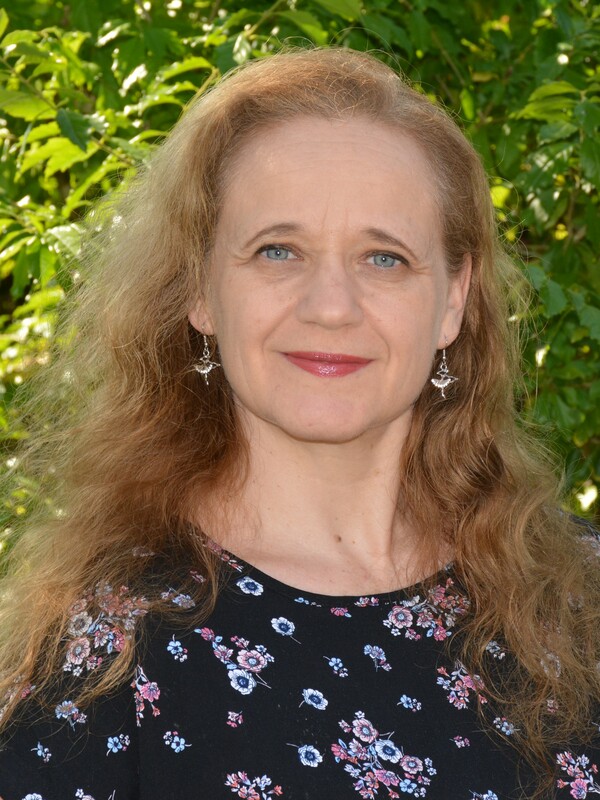 She holds a Post-Graduated Diploma in Expressive Therapies and is currently completing a Masters of Arts Therapy with a special interest in integrative dance therapy. Areas of experience include the fields of chronic illness and pain, mental health, child development and care of the elderly/dementia/palliative care. She is interested in the development of dance movement therapy through an allied health lens and is involved with several projects in partnership with the Northland DHB, Blind Foundation Northland and TBI Healthcare providing dance movement therapy in multi-disciplinary settings. 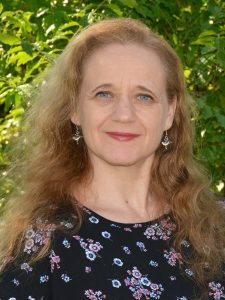 She plans to continue her studies exploring the dance between arts and health and the development of the dance therapy profession within this. 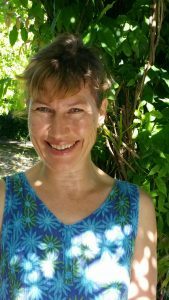 She provides creative movement, therapeutic dance/arts workshops and professional supervision to health professionals, community groups and health providers throughout New Zealand. MA Dance/Movement Therapy, Registered Dance/Movement Therapist (ADTA), Certified Dance Therapist (TDTA), Registered Arts Therapist (ANZATA). 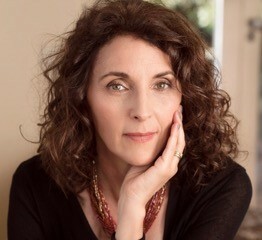 Certified Ways-of-Seeing practitioner trained with Dr. Suzi Tortora, senior dance psychotherapist. PhD Candidature (Education) (UH), M Phil (DMT) (HKU), M Soc. Sci. (Counselling) (HKU), Grad Dip DMT (Wesley), B Ed. (ECU), Cert Sandplay Therapy. Experienced in DMT for groups or individuals, children and adults. Children with special needs or Autism and Down’s Syndromes, children with anxiety issues, elderly with dementia, women with breast cancer and adults wanting personal development, well- being and relaxation and adolescents associated with drug abusers in their families. Areas of expertise are adults or children with special needs and elderly with dementia. Groups running include family therapy groups that integrate DMT within exploring family issues.